Ukraine is willing to give Russia joint control of a pipeline to southeastern Europe in exchange for access to natural gas supplies, Prime Minister Mykola Azarov said as the countries negotiate a gas venture. The governments are seeking to create the venture between NAK Naftogaz Ukrainy and OAO Gazprom, both of which were once part of the Soviet gas monopoly, by year-end, Azarov said in an interview in his Kiev office yesterday. The agreement would reduce the price Ukraine pays for Russian gas, he said. Russian Prime Minister Vladimir Putin proposed “unifying” Gazprom and Naftogaz as he increases influence in Ukraine and his counterpart, Viktor Yanukovych, seeks settle disputes that arose under former President Viktor Yushchenko. Ukraine needs to cut energy costs as it phases out subsidies to comply with a $15.2 billion loan program from the International Monetary Fund. Twice in the past four years Russia cut off gas shipments to Europe that flow through Ukrainian pipelines because payment disputes. Azarov’s predecessor, Yulia Tymoshenko, signed a 10-year gas supply and transit contract with Russia in 2009, ending a two-week halt in deliveries to Europe in freezing temperatures. In April, Russia agreed to reduce the price it charges Ukraine by $100 dollar per 1,000 cubic meters of gas in exchange for the extension of a lease on a Black Sea naval base. The proposed venture would allow Russia to upgrade the pipeline that supplies the Balkan region, eliminating the need for the proposed South Stream project that would go around Ukraine, Azarov said. Upgrading the southern pipeline link to the Balkan region “is a very promising project,” Azarov said. This “will allow Russia to transit fuel reliably to Bulgaria and to implement the South Stream project, only on our territory,” he said. 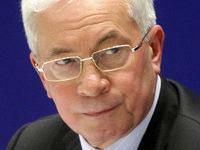 The project would be “mutually profitable” and provide Ukraine with “transit guarantees” Azarov said. He declined to provide specifics on how joint control of the pipeline would work or what access to Russian gas would mean for Ukraine because the negotiations are continuing. The joint venture should involve renegotiating the formula used to price Russian gas shipments to Ukraine, he said. While European customers paid an average of $307 per cubic meters in the first quarter, Ukraine paid just $2 less, even though it buys gas at the border and doesn’t pay transit fees, Moscow-based Troika Dialog said last week. 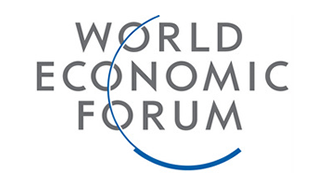 Ukraine’s price dropped to $236 in the second quarter after the $100 discount. Household gas prices in Ukraine may fall to Russian levels after a merger between Gazprom and Naftogaz, Gazprom Chief Executive Officer Alexei Miller said Aug. 27. Moscow-based Gazprom keeps domestic prices at 1,880 rubles ($61.35) per thousand cubic meters, Miller said. Ukraine raised its price by 50 percent to 725 hryvnia ($91.88) beginning Aug. 1 and plans to increase it by another 50 percent from April 1. The proposed gas venture is only one area in Ukraine and Russia are increasing cooperation. Russian President Dmitry Medvedev will meet with Yanukovych later this month in eastern Ukraine. Ukraine is offering Russia partnerships in industries including nuclear energy, aviation and aerospace, Azarov said. Other cooperation plans include a plant to reprocess spent nuclear fuel and modernization of nuclear power plants. The projects “can be very profitable for Russia,” he said.